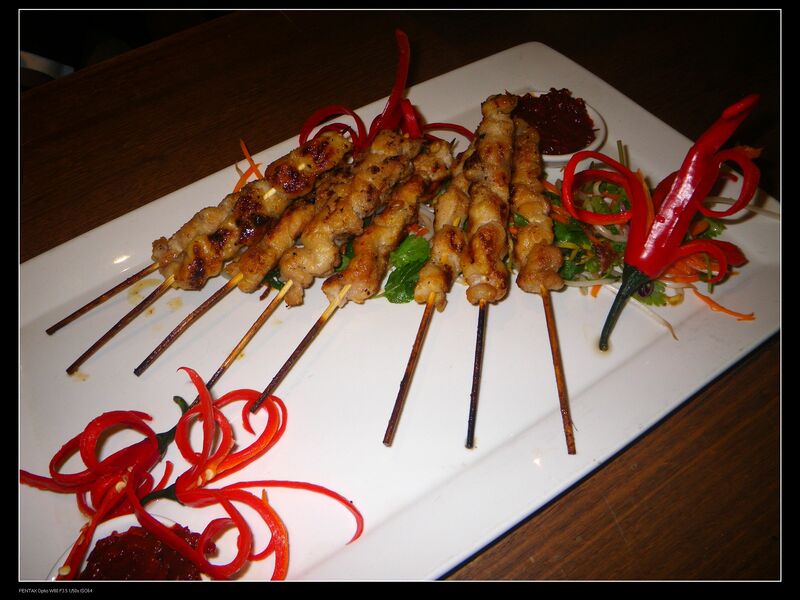 Game meat is probably the most versatile ingredients in any culture all over the world. Animals that are not domesticated are generally called game animals. 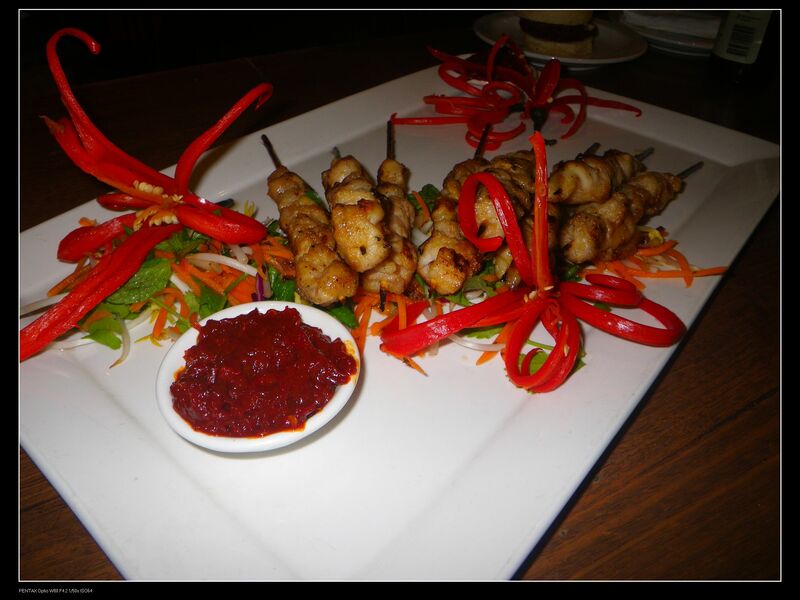 In Australia, emus, kangaroos, crocodiles and rabbits are the mostly eaten game animals. 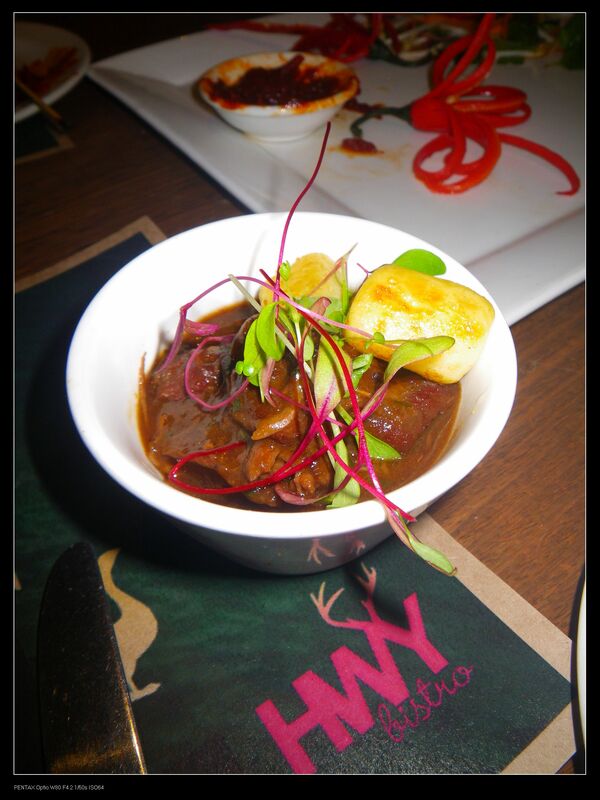 In other cultures around the world, the habit of eating game animals has been passed from some 1000 years ago. This can be observed in African, Asian, European and even Iceland cuisines. Eating game meats has several health benefits as the meats are generally lean in fat content and hence they provides lower cholesterol levels as well as high nutrients and mineral elements for human body. In South Australia, we have been introduced to the context many years ago and we have some fantastic butchers in providing high quality game meat. Macro Meats is one of these companies and it actively participate in the introduction of game meats to the public. From today till May 14, diners can expect to taste these high quality game meats cooked by one of the state’s highly regarded chef, Nick Finn and his young team at The Highway in Plympton, which has been crowned SA’s best hotel by AHA in 2012. The program has been run continuously for three years and according to Nick, every year they are going to try something new and innovative. 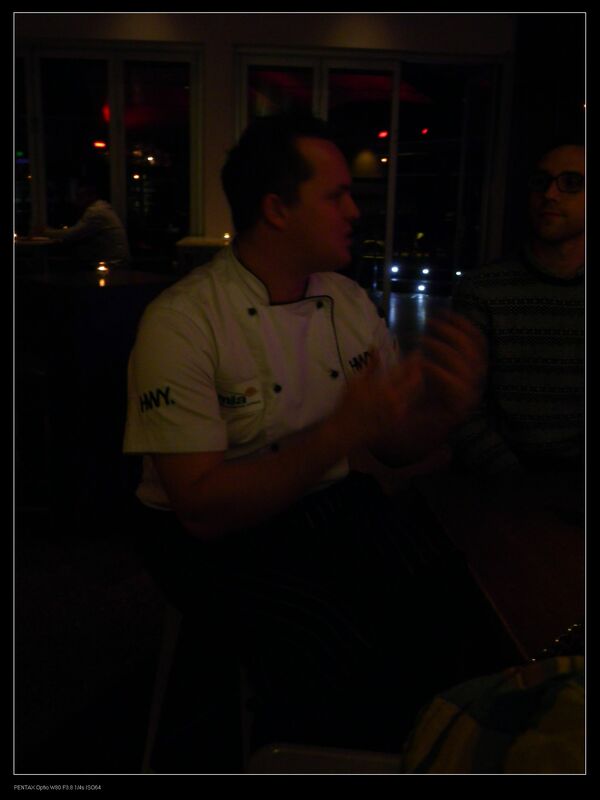 A group of 10 food fanatics in Adelaide was greeted by Nick at the bar and the session started with drinks. As my regular starting point, my wife and I had LLB while others enjoyed several beers. 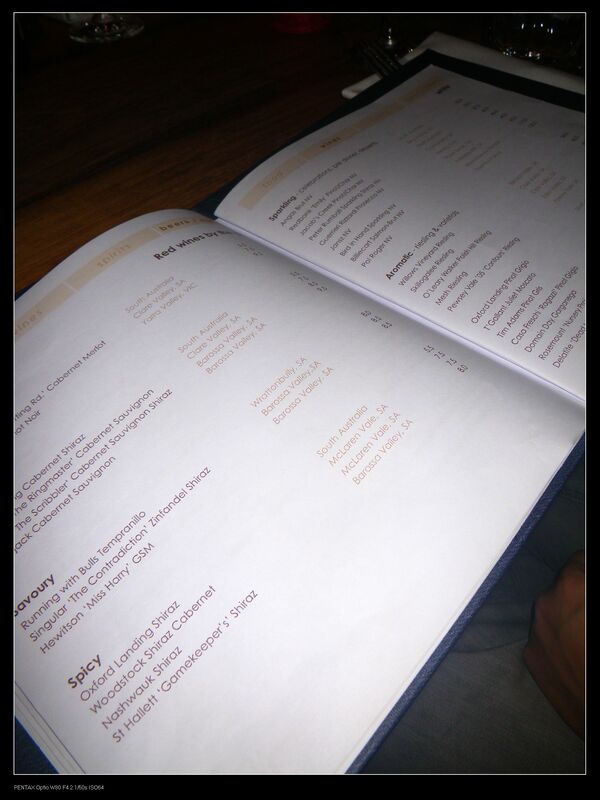 LOL~ According to the restaurant manager, they have some 150 crafted beers. Wow, that probably means if I go from no.1 to no. 150, I’d be in heaven :P.
The service here was definitely a top notch. My wife was a bit sick for that night and we requested to have some warm alcoholic drinks. The manager made us good warm ciders with cinnamon. 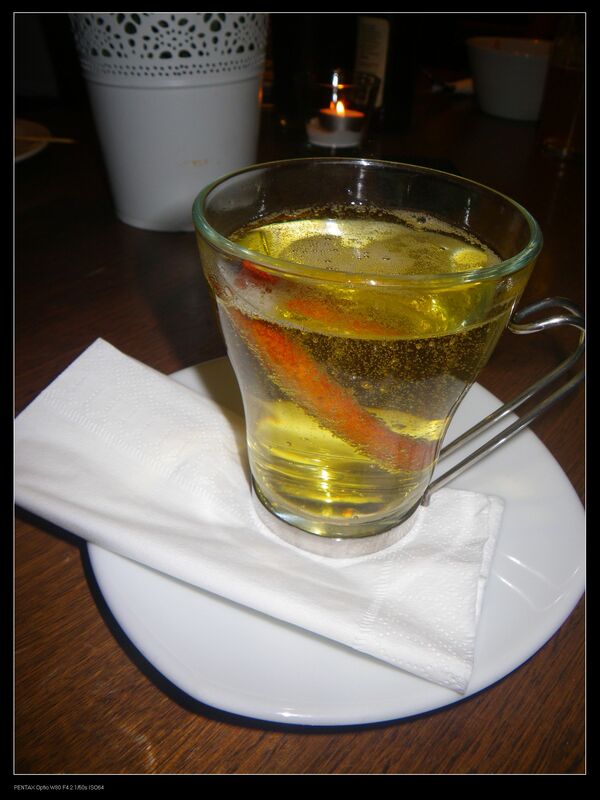 The drinks were spicy with some fruity aromas. In fact, I never had warm ciders before and it was definitely a surprise for me. Try it yourself while you are there next time and I am sure you will not regret for your decision. 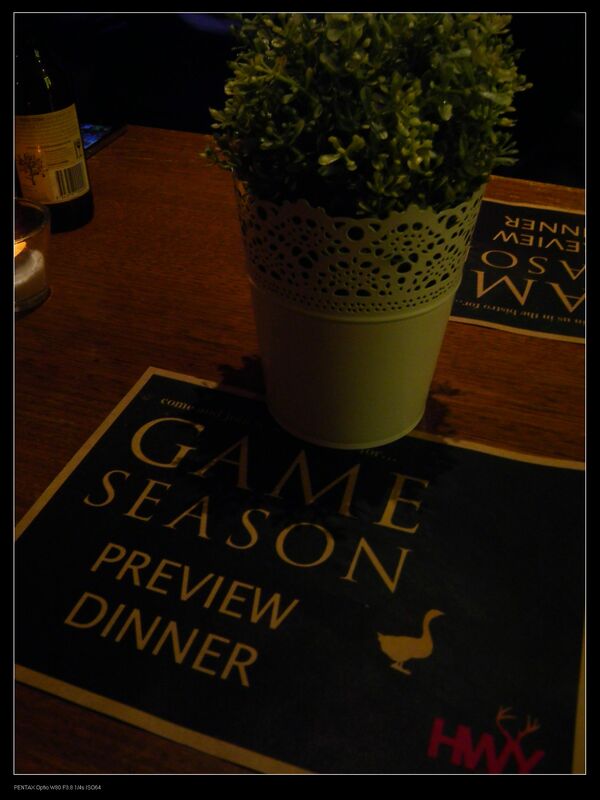 Before the mains, we were offered the opportunity to taste the menu for the Game Season. 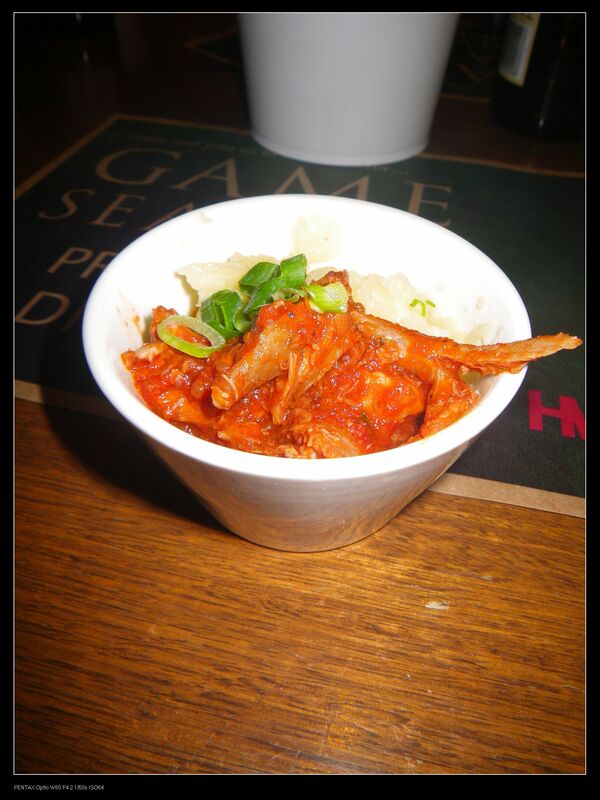 We started with a lovely rabbit cacciatore. Pros: The dish tasted very nice on the palate. On first presentation, a strong tomato smell came to the nose. The aroma was fabulous and the meat was tender and well cooked. The flavour has been fully incorporated into the meat while the addition of the mash enhance the taste further. The game taste of rabbit was fully covered but if you try it carefully and chew the meat for several times, a distinctive rabbit aroma can show up. I am a person who loves rabbit meat flavours, but if you don’t like it, just don’t chew for long. Cons: a little salty for me. The second taster was the kangaroo burger. 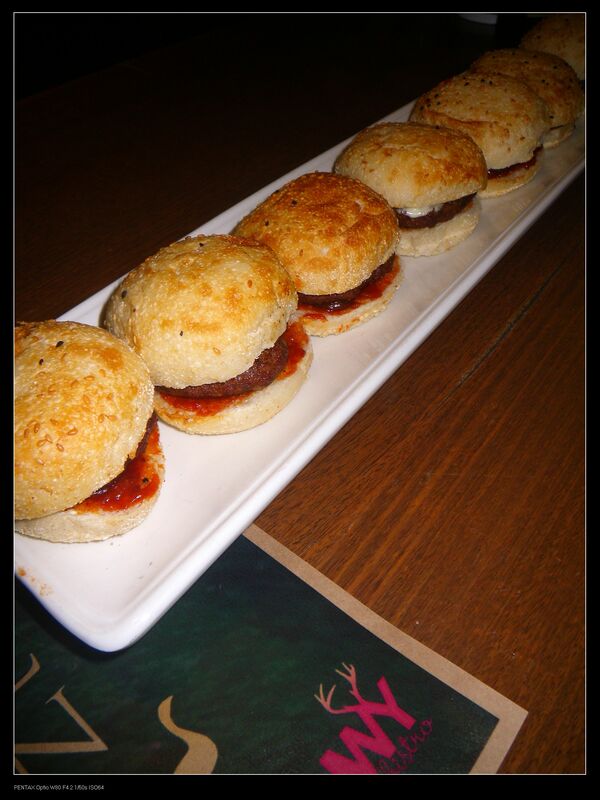 Have you ever imagined tasting a kangaroo meat burger to be so tender and flavoursome? Then, here you go! This was my favourite dish for the night. Pros: As I said, I never tried kangaroo meat in this way. The meat was so moist and tender and one probably cannot get what the meat is without asking. The meat patty was cooked medium well to perfection with some pinkness still in the center. The bread was crispy and provided extra crunchiness to the meat. 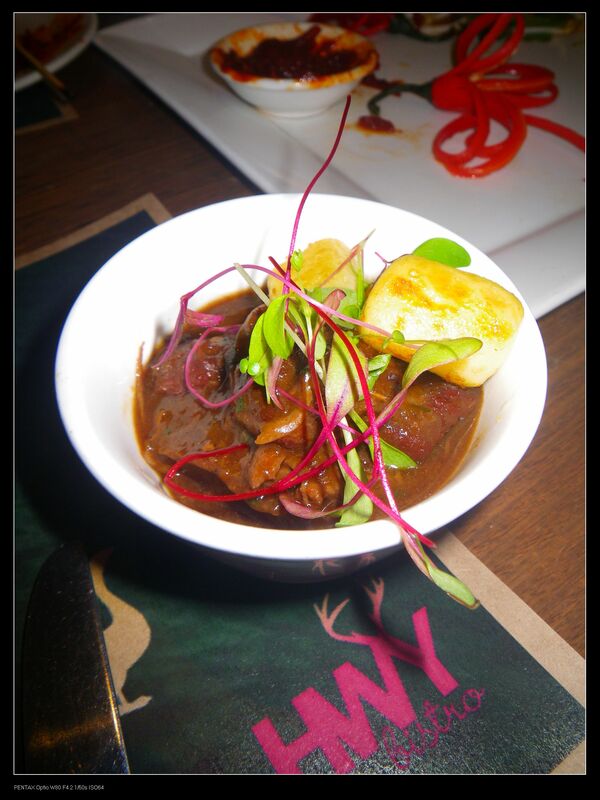 The quandong chutey was sweet with slight sourness but added extra layers of flavours to the meat. A bonus! 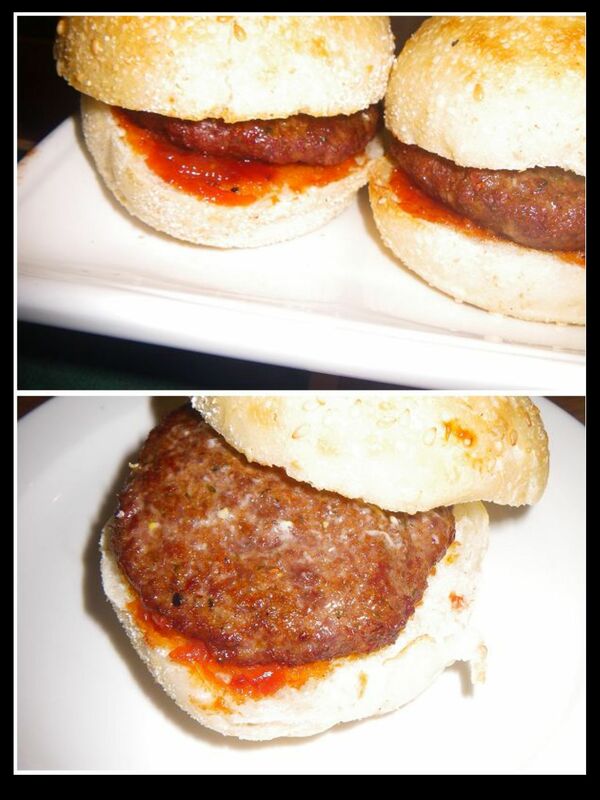 According to the chef, the patties were specially designed with more fat content to enhance the flavour and tenderness. Pros: The smokiness and aroma from char grilling of the dish were great sensation on the nose. Cons: To be honest, this was my least liked dish for the night. The crocs were tough and the chilli jam was too hot. However, this may depends on persons as my wife found the dish okay. I guess to reduce the strong chilli flavour, the chef may consider fermenting the jam a little bit cos this can introduce some sweetness into the jam. Nick indicated that he used croc tail meat for the dish. Since I never cooked the tail before, I am not sure what caused the toughness. What about using thigh fillets? Would that help at all? 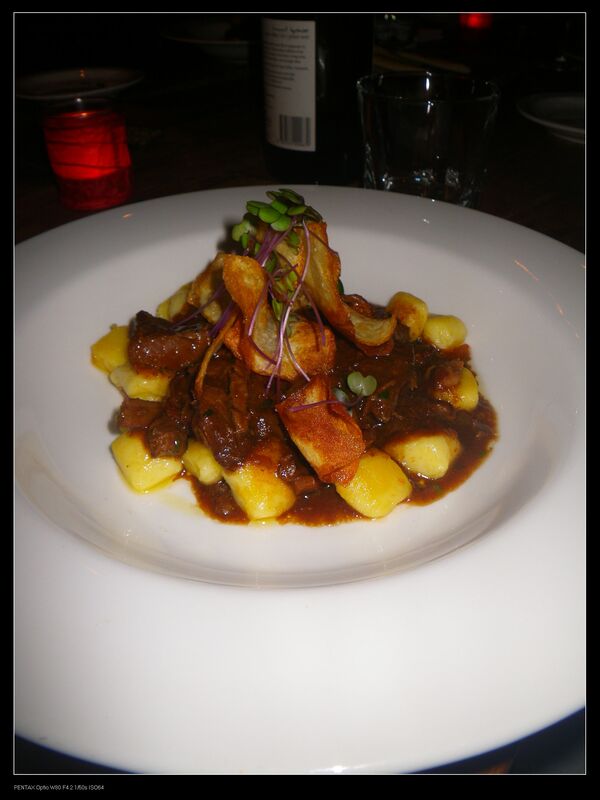 The final taster was the Denver Venison with gnocchi, fennel & parsnip chips. The dish went finished in just a short time and I can clearly see the popularity! This was my second preferred dish of the night. Pros: As I said, this was my second preferred dish of the night. The venison was slowly braised and fully cooked. Magically, I can’t taste any venison game flavour. Even after such a long braising process, the meat was still very tender and smooth and went down my throat in a flash. The sauce was tasty with hints of meaty flavour and the fennel provided extra complexity to enhance the aromatics of the meat in a good way. The best of the dish actually came from the gnocchi. 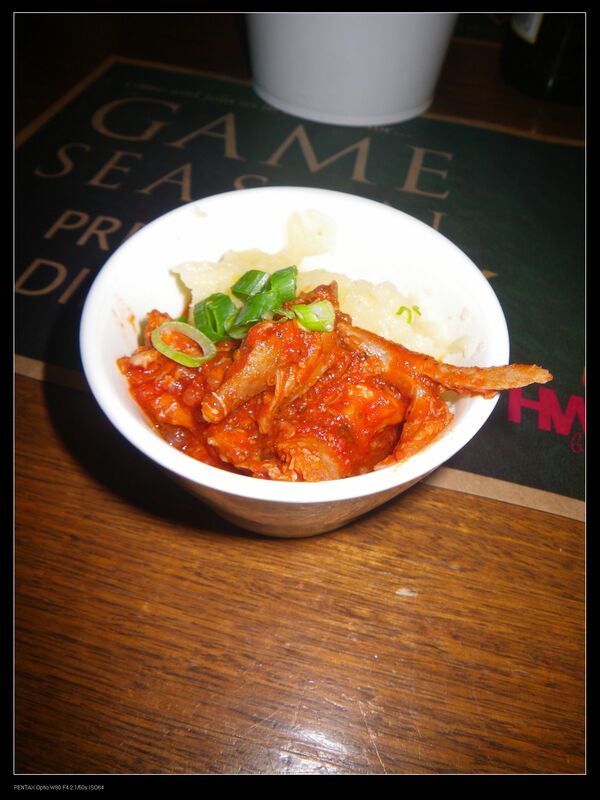 It was super soft and succulent, especially when complementing the flavoured meat. I also ordered the venison as my main course for the night. The venison dish officially concluded the tasting and we were transferred to the actual bistro for our mains and sides. 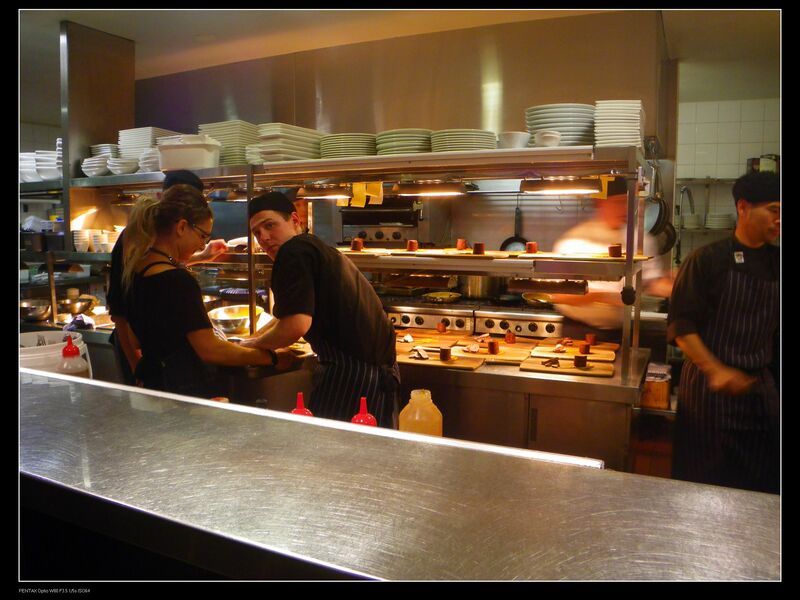 On the way, we passed their open kitchen and I was very glad to see so many young faces working for their dream career. We were also introduced to the young and enthusiastic team later on during the dinner. 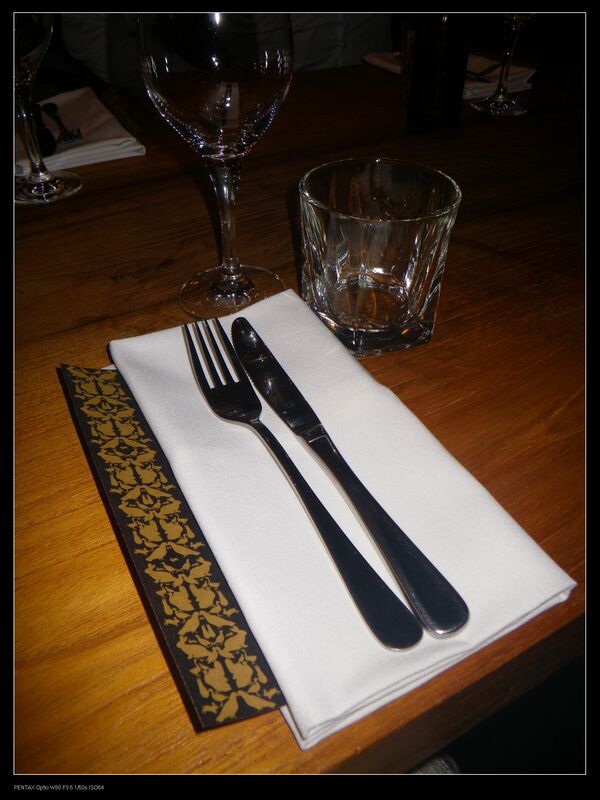 The bistro has a modern and sophisticated decor with a good setting out of tables which can accommodate several groups. 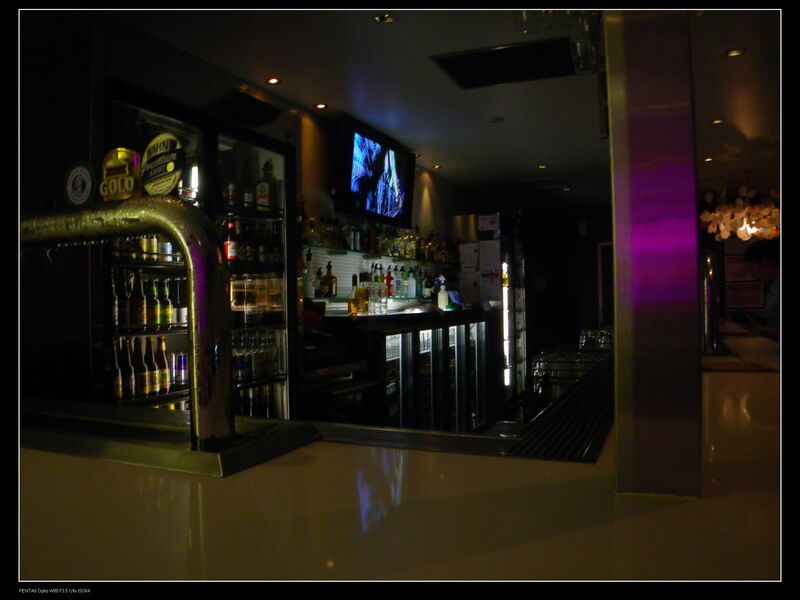 The bistro got an extensive wine list too, featuring wines with various varieties from locations around Australia. 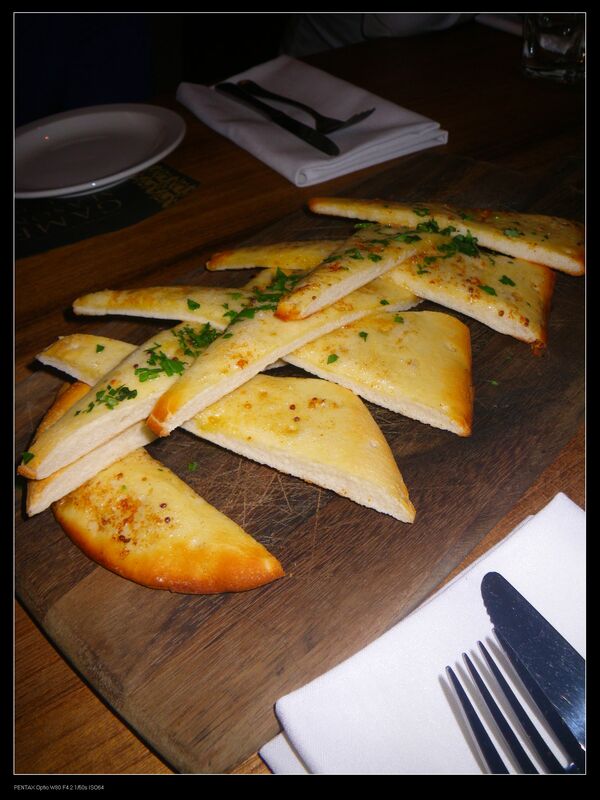 The mains were accompanied with garlic breads. I liked them as they promote a strong garlic aroma and beautiful cheesy/dairy tastes on palate. As stated previously, I ordered the larger version of the venison as a main. Refer to the previous section for reviews. 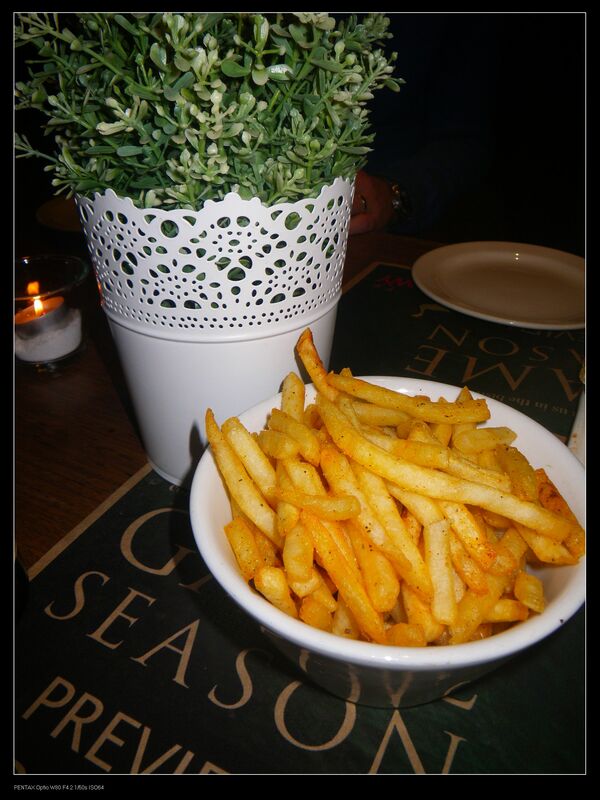 Oh, btw, I liked the addition of the parsnip chips. They were crispy on the own but went soft and chewy (in a good way) once in the soup. 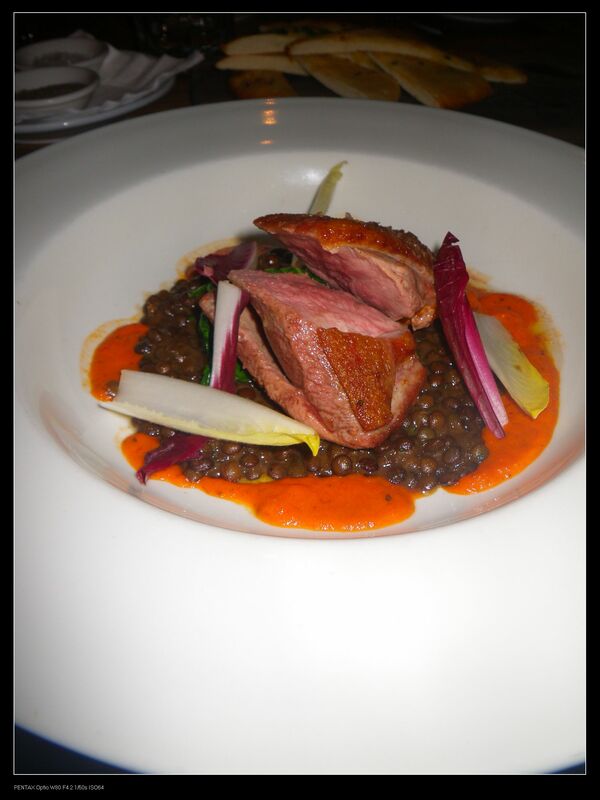 To taste more dishes, my wife ordered Crispy Skin Duck Breast with braised lentils, tomato sugo & witlof hearts. Pros: The meat was cooked medium with good pinkness in the center. It was full of moist and easy to bite. The lentil added flavours to the dish while the witlof heart being so crisp and fresh, neutralised the oiliness from the duck. Cons: The skin was already very soft. I do prefer a crispy skin. 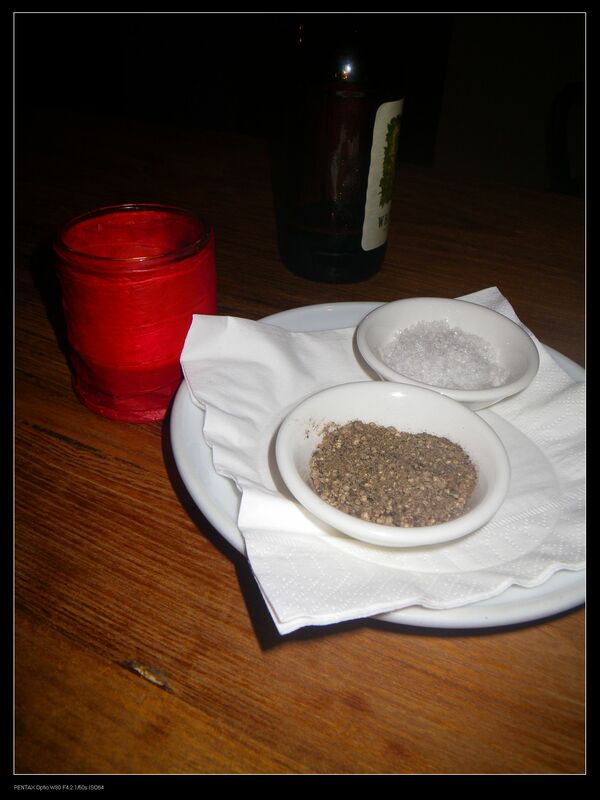 Also, I needed to add salt and pepper to the dish to fit my taste of salt. 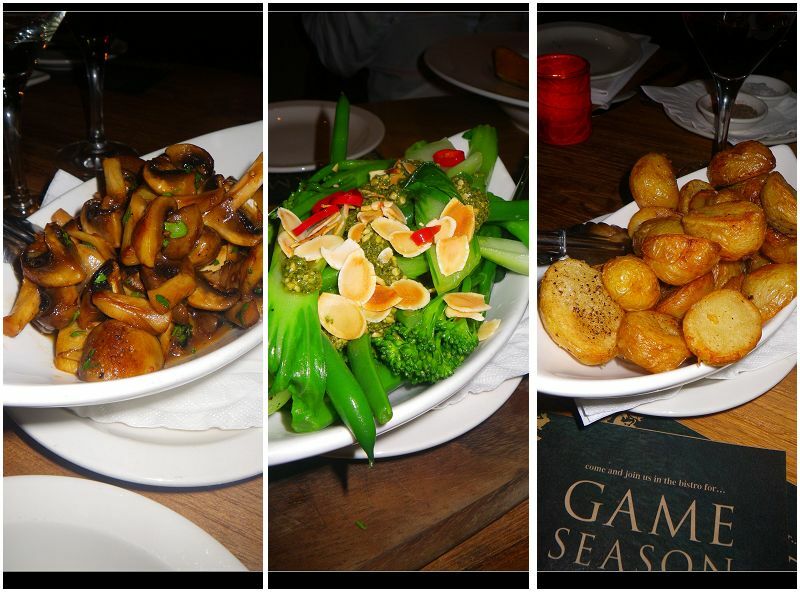 The sides of the night were sauteed wild mushrooms (left), steamed greens with chilli almond pesto (middle) and golden crisp chats (right). No dinner is complete without desserts. 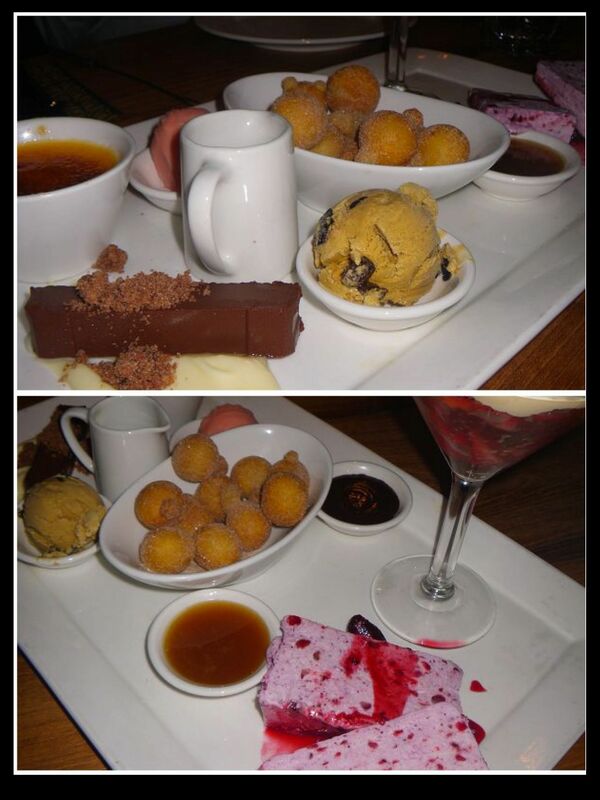 We were offered their tasting plate, which contained all of their current summer season desserts. My readers know that I am not a huge fan of sweets but I liked the orange crema catalana with blood orange sorbet and basil syrup a lot. You may want to try this yourself. It’s a chain reaction, the acidity from the blood orange sorbet balanced the sweetness of the crema catalana while the addition of basil syrup neutralised the acidity of the blood orange. What a feeling! Looks promising. I always enjoyed to dine at the HWY! Great work and hopefully I’ll be there soon. You are quick! I just finished blogging several minutes ago. Got another project to go to tomorrow and I am sure you will like it too. I’ve been there several years ago. Maybe I should re-check it out next time I go back to Adelaide. Good review by the way. Yes, you should definitely try it again. Nice review! I like the parts where you put pros and cons. It’s really easy for us to read. 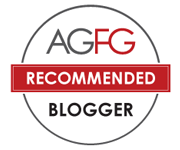 I started doing this because I wanted my readers to have ideas about the good and bad aspects of a dish. No dishes are perfect and no dishes are completely dump in this world and hence I’d better be fair. Never tried their Game food but the serve is generous for sure. Ehhhh, yes, it’s way too big for us :D. I was very full after the dinner.